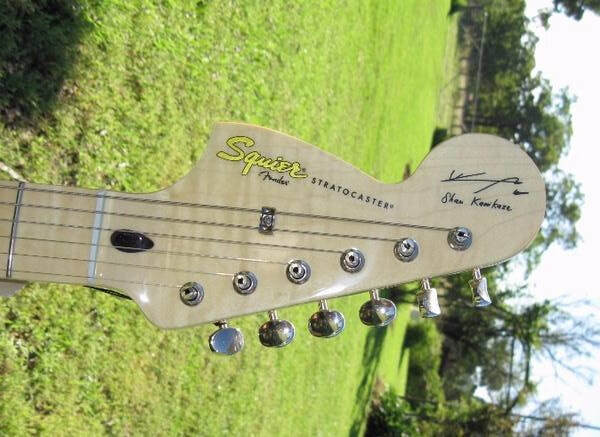 Squier introduces its Sham Kamikaze Signature Stratocaster guitar model, named for and designed with the help of Malaysia’s top guitarist. 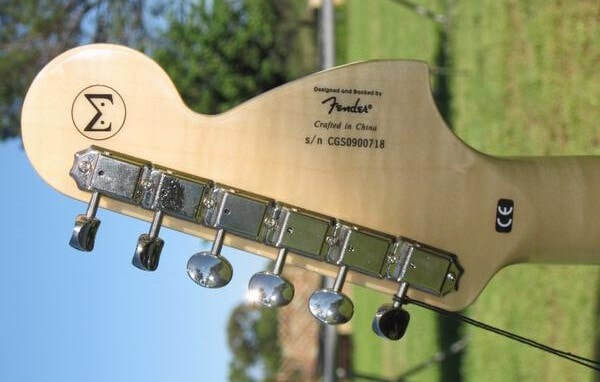 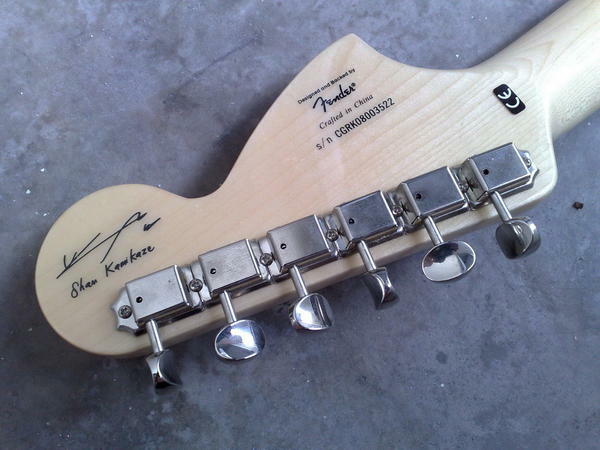 The guitar puts Kamikaze’s own personal touch on a Squier Classic Vibe series instrument, not the least of which is its distinctive and non-traditional reverse headstock design and reverse string arrangement, which lends a certain subtle, loose feel to the guitar’s comfortable playability. 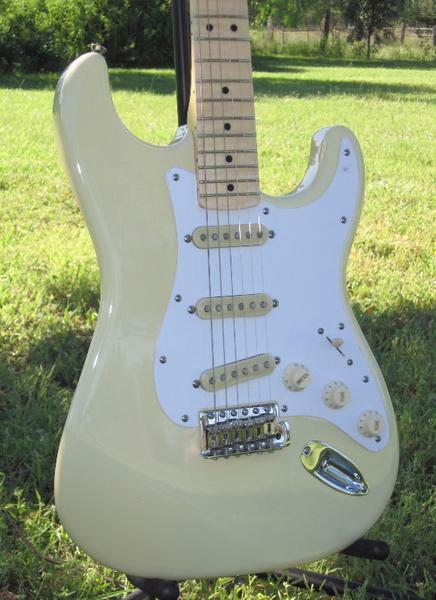 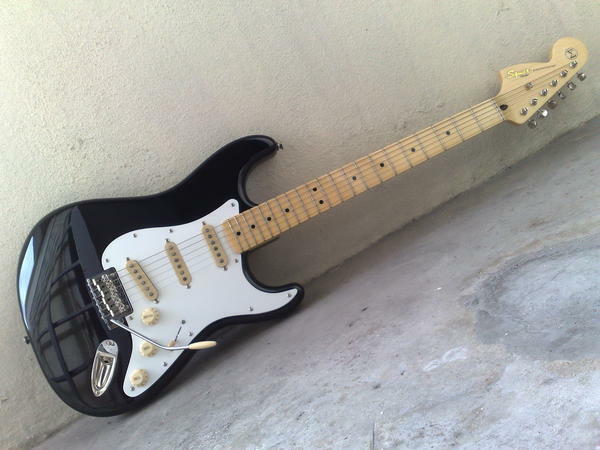 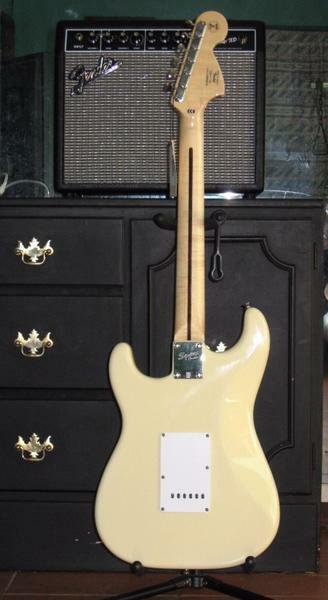 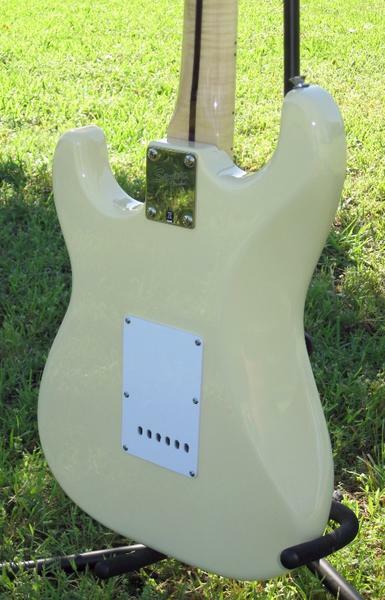 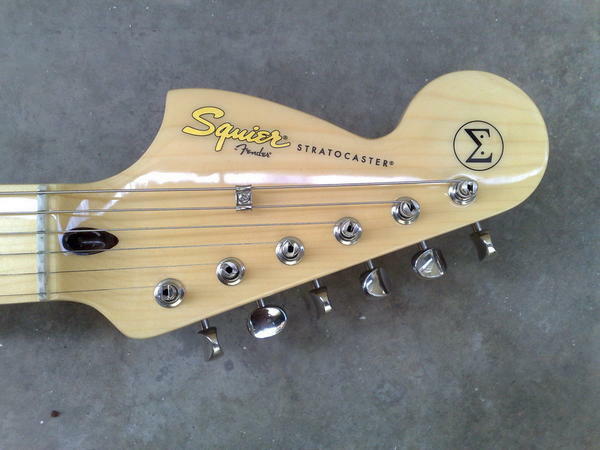 Features also include an alder body finished in Black or Vintage White, gloss maple neck, Kamikaze’s signature on the front of the headstock and a Sigma logo on the back, vintage-style single-ply white pickguard, three custom vintage-style single-coil pickups (reverse-angled bridge pickup) with reverse staggered alnico III magnets, vintage-style tuning machines and tremolo, and aged plastic parts.